It's Christmas time when Constance Pineault comes to Three Pines to visit her friend, Myrna. She's bowled over by the bucolic village and its people. The atmosphere is beatific, she's impressed by the warmth of the village crowd with whom she would not normally have associated. 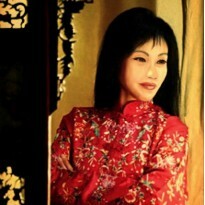 Four days later, she's found dead in her home, apparently murdered. But, Constance Pineault was not her true name; she had a secret past - a past so sensational, it might well reveal her murderer. After attending a Christmas office party, Audrey Villeneuve drives to Champlain Bridge and jumps to her death, leaving a husband and young children to grieve. There's no suicide note to explain her decision to end her life, nothing to signify the despair that would drive her to suicide at such festive times. Who hurt you once/ so far beyond repair/ that you would greet each overture/ with curling lip? Chief Inspector Gamache is extremely concerned this Christmas season as his homicide department is under "reconstruction", being "gutted, bastardized" and Gamache himself to be transferred out. His investigations into the deaths are hampered by lack of staff and trustworthy colleagues. There is corruption within the Sûreté, and loyalties are divided. Tension and distrust mount between Gamache and Chief Superintendent Sylvain Francoeur, who hinders Gamache's every move. The smell of merde drives Gamache to make drastic decisions from which there is no turning back. Then shall forgiven and forgiving meet again/ or will it be, as always was, / too late? As I'm introduced to Gamache, I get visions of Agatha Christie's Hercule Poirot, of old world grace and charm, eloquence, brilliant intuitiveness, and ingrained old fashioned manners. Gamache, in the dangerous profession of dealing with violent crime, where a second's delay could mean the difference between life and death, would take the time to inquire most genteelly: "May I use your phone, please?" Indeed, he has manners- anachronistic as they may seem-they prove to be a unique and pleasant quality. His passion as a law enforcer is also mixed with deep caring for his town of Three Pines and its eccentric group of people, some of whom have long been his dear friends. I'm not acquainted with the reasons for the disastrous events that lead to the rift and hatred between he and his ex- second- in -command Jean-Guy Beauvoir, a man he previously hoped would become his daughter's husband, but in one remembered scene (I guess it occurred in the previous novel) when he thought Jean- Guy was dying, Gamache kissed him on the forehead and said, "I love you." This was extremely touching. It, for no other reason (although there were other reasons), made me want to read more Gamache novels. 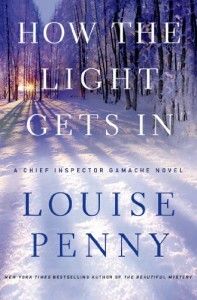 This was my first Louise Penny novel and therefore the first encounter with Chief Inspector Armand Gamache of the Sûreté de Quebéc, the main character in Penny's award winning whodunnit series, centered around the pastoral village of Three Pines. Penny lucid writing has been compared to Agatha Christie; Gamache to Poirot. Ms. Penny's reply to that was she was aiming for Inspector Maigret of Georges Simenon's acclaimed mystery series. I can see that, too.